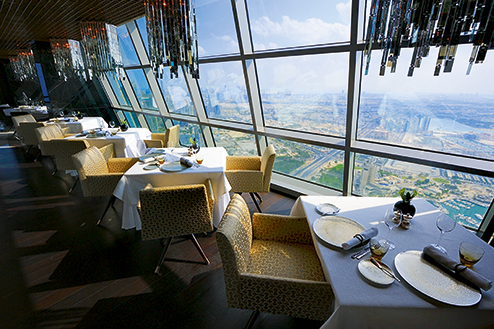 Mint Leaf of London is a contemporary Indian restaurant, bar and lounge that offers an inspired take on authentic flavours - all set amongst the breathtaking views of Burj Khalifa and New Dubai. Its unique food offering is complemented by an extensive bespoke drinks menu developed by a team of award-winning International mixologists who combine innovative techniques and natural ingredients to elevate classic cocktail recipes and re-imagine modern mainstays, for a truly exceptional experience. 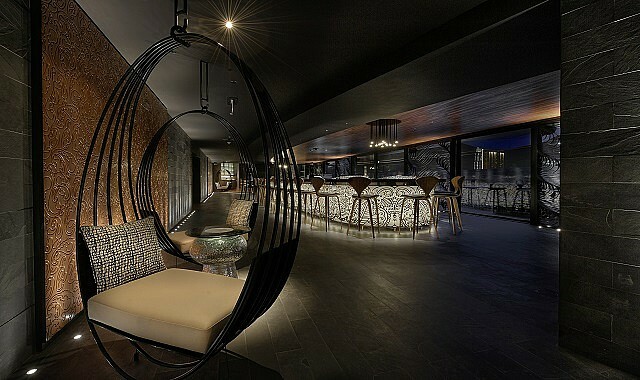 Rated There are some places where you are blown with service, quality, taste and ambiance. But this place goes beyond all ! Fantabulous innovation, fabulous service and super fantastic food. Good job keep it up. 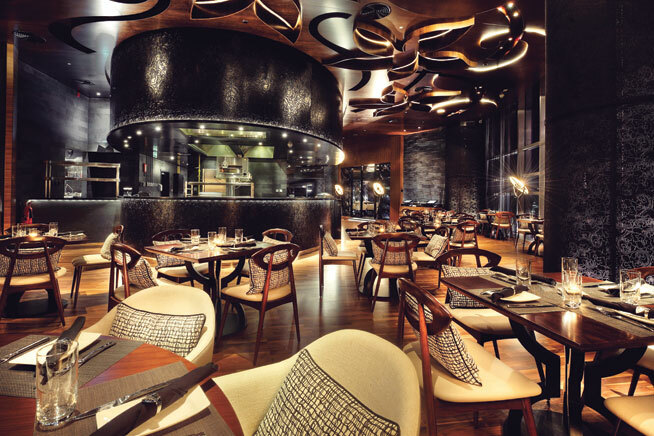 Rated The Journey of every foodie in dubai is incomplete without a visit to Mint leaf of London. No wonder it’s nominated for Users choice award for Indian Fine Dining. Every dish ordered was 5 out 5. The chicken starter was cooked to the perfection. Masala chicken in passion fruit gravy was amazing. The palate cleanser was served at every time before the next dish. The staff is way too attentive. I would also like to thank Afnaan for his recommendations on what to eat. Overall a truly amazing experience. Shall visit again soon. Rated Yes! This place caught our eyes only becuase we got to know that Chef Pradeep has joined here... and we wanted to save it for our anniversary. 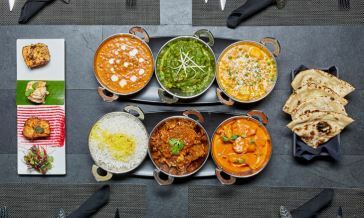 anyways guys the approx cost for 2 is aed 500 without alchohol including taxes vat and including 10 percent difc authority fees....the valet parking however is covered by the restaurant for 4 hours Coming to the food, the vegeterian menu has good vegeterian starters and i liked the romana pepper n spinach and chole kababs did not disappoint us. The food was delicious and was just as expected. And they were sweet enough to offer us a peanut butter icecream cake for our anniversary...they gave us an amazing dahi pudi kind delicacy of which i only remeber getting a brain storming mustard rush when i bit into it. Over all its a very nice place but it failed to get me AWESTRUCKed... thats because that royalness was missing.... while i felt extrmely royal at jodhpur somehow i felt of having an incomplete experience. But i shall give this place another fair chance to surprise me. Rated For the full review, head to STAMPS AND STUBS Our first dining experience at Mint Leaf, an Iftar party, was enjoyable but we felt that the food was good in terms of taste and presentation yet not memorable or different in any way. That opinion has now changed drastically ever since Dubai’s prominent name, chef Pradeep Khullar has taken over the reins! We had a long, leisurely tasting session at Mint Leaf recently where we enjoyed not just the view and food, but the conversation with the Master Chef himself! While I can sing lengthy praises of the revamped menu items, I think it’d be better if I just list my favorites from the decadent meal: * Duck seekh Kabav, plum and chèvre mousse: THIS just melts in your mouth and will appeal to people who’ve previously found duck meat too chewy or tasteless! * Desi Taco, pulled chicken tak-a-tak: even multiple orders of this wouldn’t satiate me! Delish! * Seared black cod, cilantro parsley sauce: Desi style black cod, what’s not to love? * Black quinoa and pomegranate raita * Charcoal cornetto, pumpkin tak-a-tak * The Lotus mess (despite not being big on Lotus, I thoroughly enjoyed this one too) * PB & C Nougat Bar Those familiar with Chef Pradeep won’t have to be told to visit Mint Leaf, however for those who aren’t, make sure you go to the restaurant, you won’t regret it! 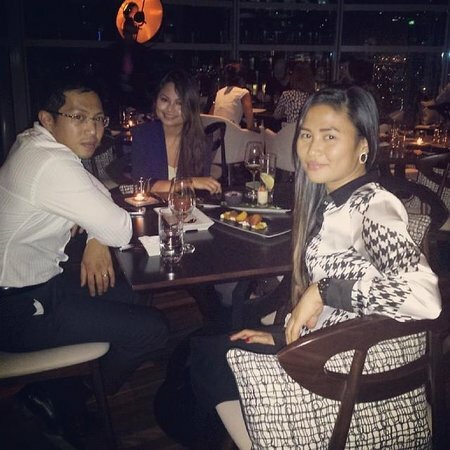 Rated A really nice place to dine in in Difc area. 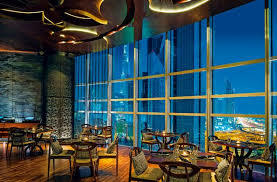 Located on the 15th floor you get a spectacular view of the Burj Khalifa and other skyscrapers. We were welcomed with the wasabi served in pani puri style (fried hollow crisp) which turned out to be a good try. They usually have happy hours in the evening and we had gone for drinks. We also ordered chicken tikka as a side snack. Overall the experience is really good. Definitely going there again. Rated Ended up here for business lunch after quite a while. The old thali is gone and is replaced by a set menu. Very well priced too for DIFC location. 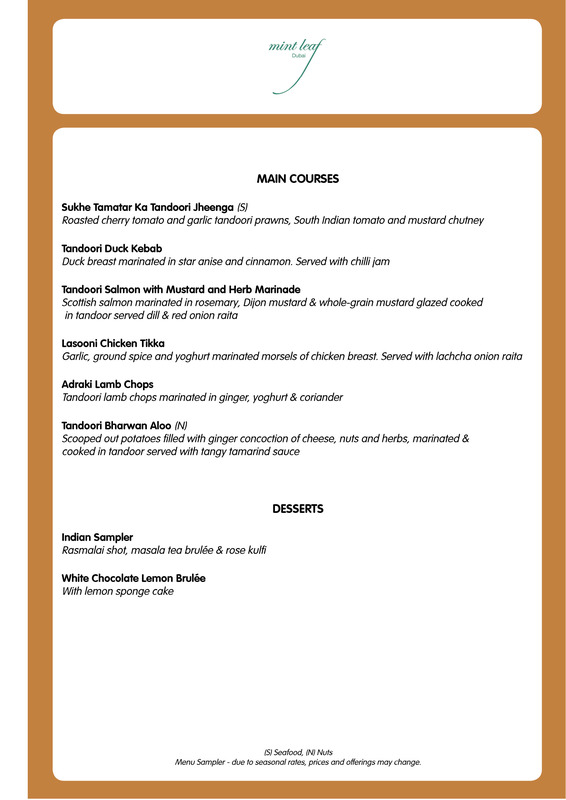 You get to choose a starter from a choice of 2 non-veg and one veg dishes. Similarly, you can choose your main course too. Daal Makhani and breads are served for sharing. I had a fish dish for the starter and mutton for the main. Both were excellent. And, we got served a couple of samplers too. The servings are generous and you won’t go hungry! By the time, we were done with our main course, we didn’t have any appetite left for the dessert. Well recommended.